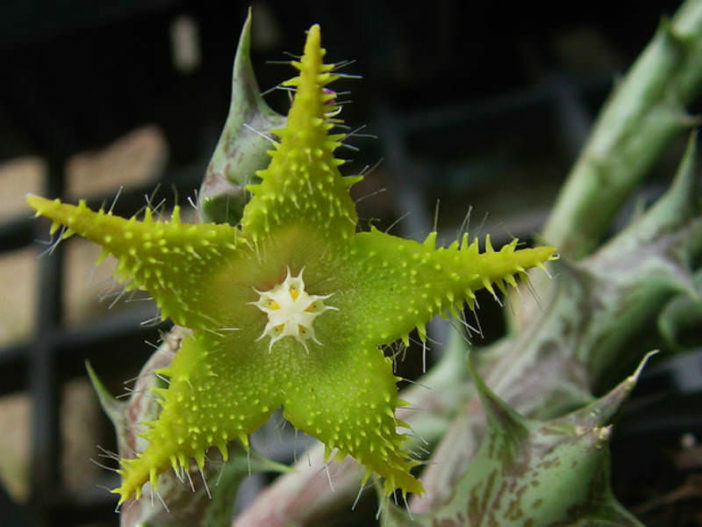 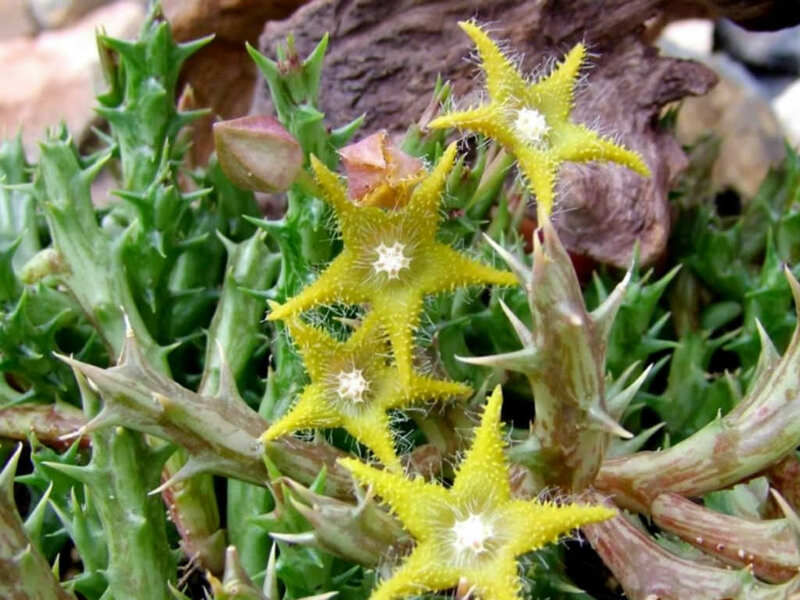 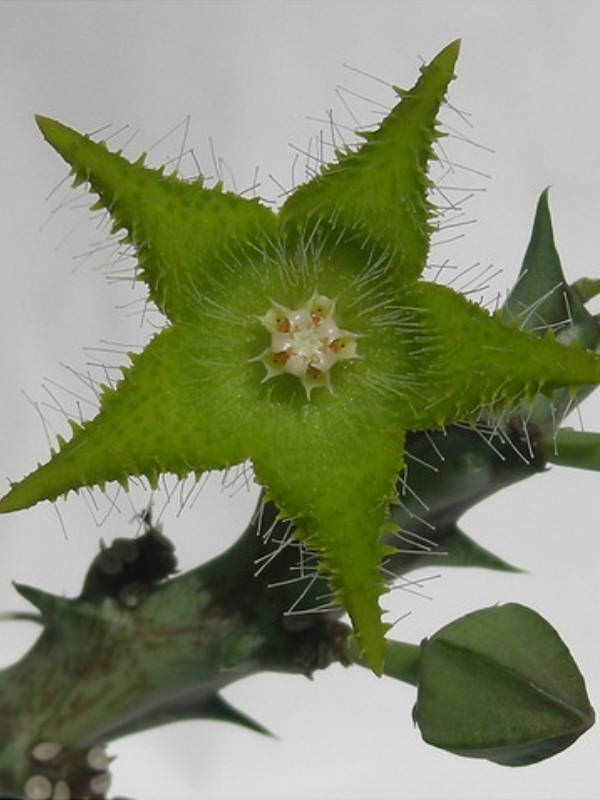 Orbea dummeri is a perennial, soft-wooded succulent with roundish or 4-angled stems, up to 4 inches (10 cm) long, with red stripes and grey-green teeth up to 0.6 inch (1.5 cm) long and 0.2 inch (5 mm) wide at the base. 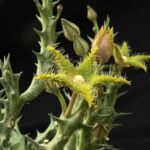 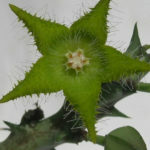 The hairy flowers are olive-green in color and borne on short stalks. 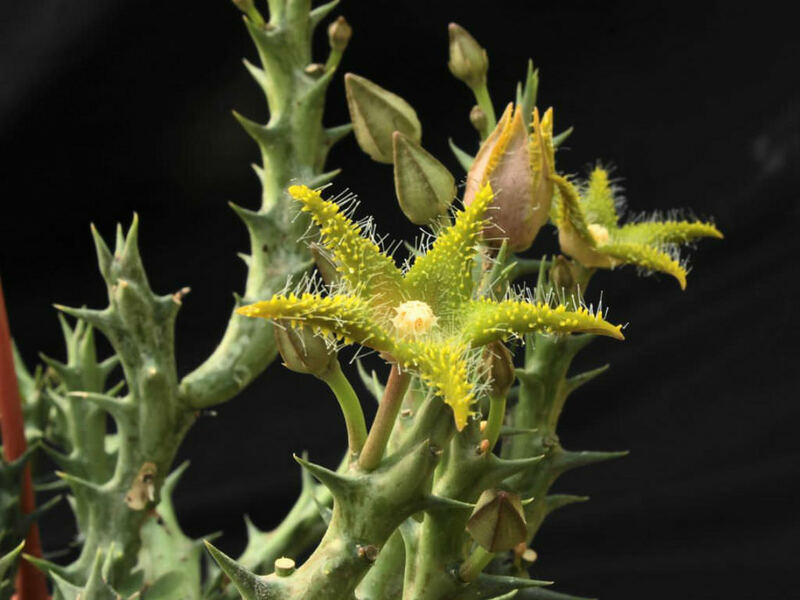 USDA hardiness zone 9a to 11b: from 30 °F (−1.1 °C) to 50 °F (+10 °C). 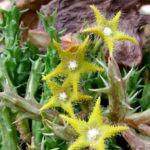 Native to Kenya, Tanzania, Uganda and Burundi.